opened fire hitting the officer in the leg. The suspect fled into a nearby neighborhood. A short time later, officers found the man and saw him put a gun to his head and shoot himself. 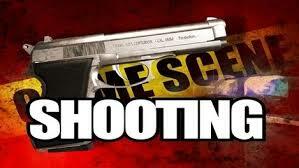 The suspect was transported to a local hospital where he succumbed to his injuries. The officer underwent surgery to his leg and is expected to recover. Appeals Court Rejects Hold On Dreamer's Driver's License O.K.